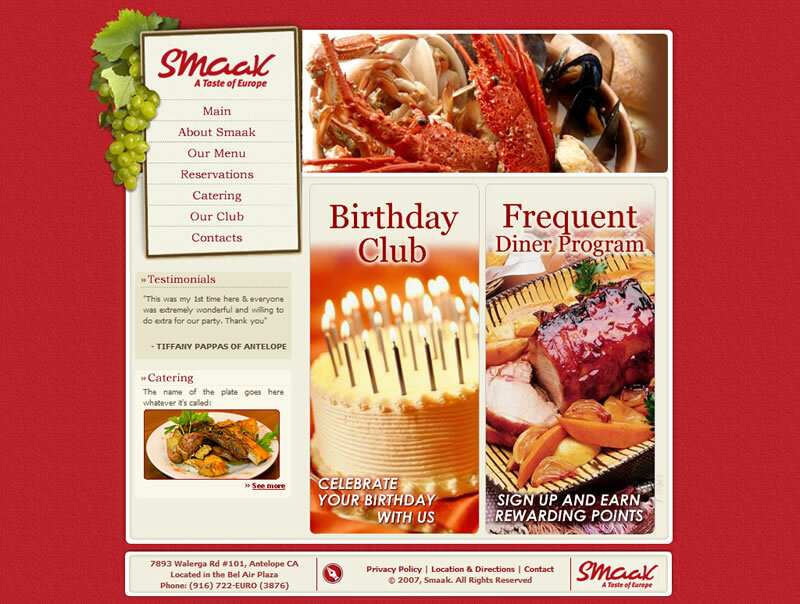 Smaak was an upscale european buffet style restaurant located in Antelope, CA. It's the only place in Sacramento where you can find roasted leg of lamb, pelmeni and lobster empanada - all under one roof. Enjoy delicious european gourmet dishes of France, Italy, Russia and Germany. 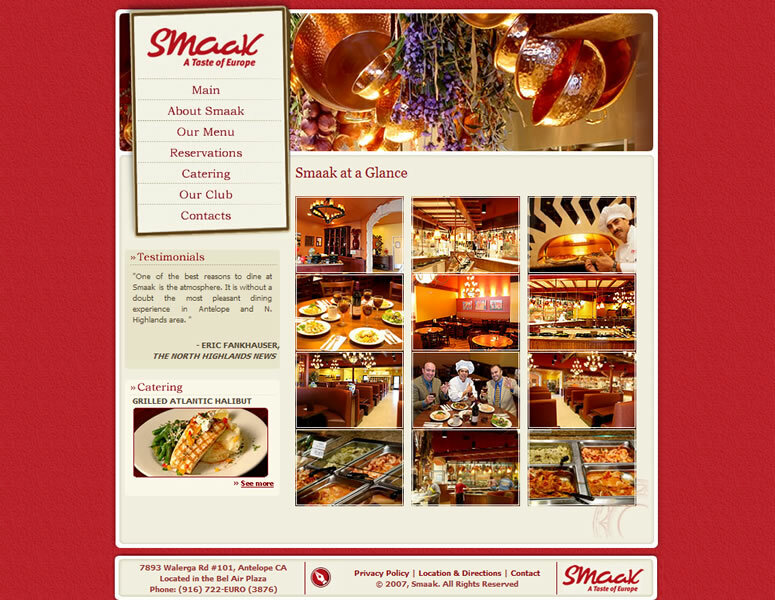 Smaak features Old World specialties from the European cuisines that made dining more than a meal - rather an experience you'll want to repeat again and again! Task: 1. 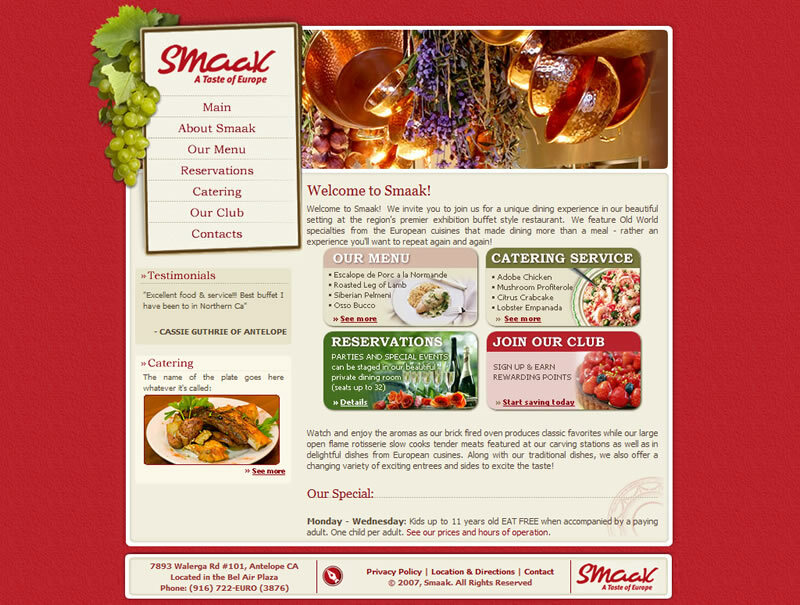 Design and create a website for Sacramento's restaurant. 2. 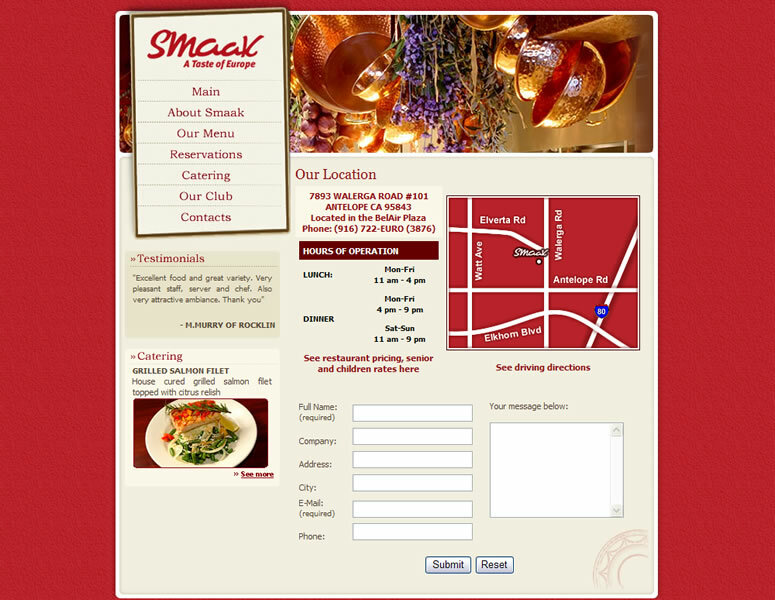 Recreate restaurant's ambience and atmosphere on the website. 3. Make Smaak's visitors hungry. 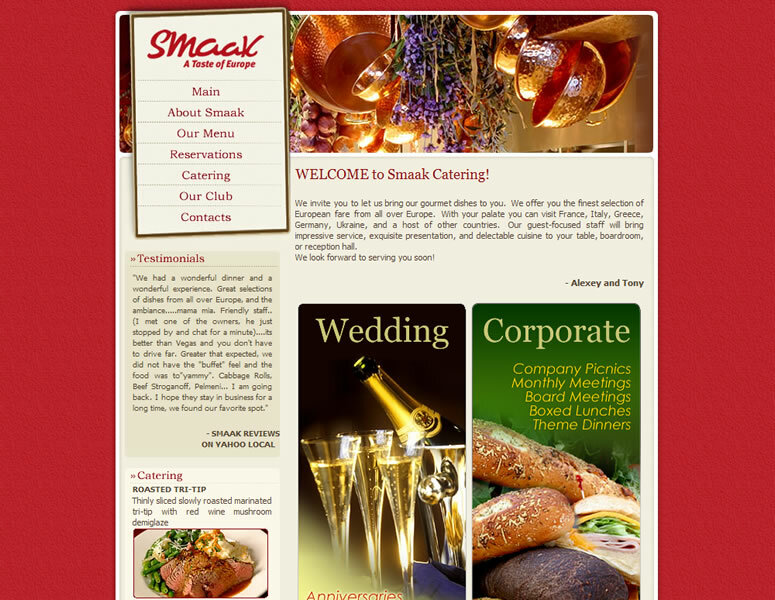 SOLUTION: Smaak got it all - dynamic content, flash, photographs, custom forms, custom design and layout. Loaded with photographs of european gourmet dishes, it serves it's purpose - IT WILL MAKE YOU HUNGRY!